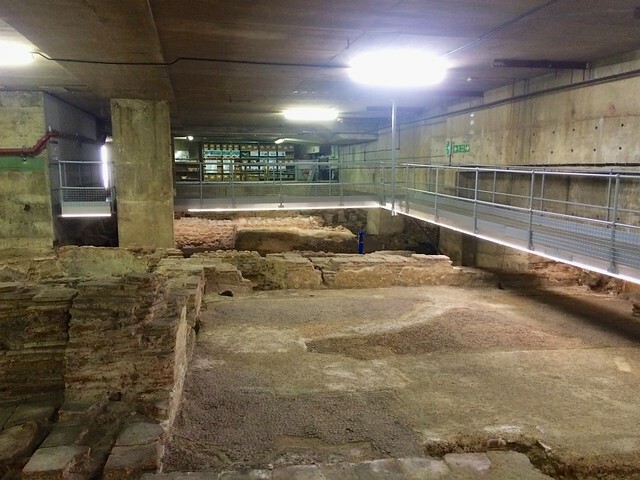 Over the next couple of months, until August actually, the Museum of London will be putting on tours of the Billingsgate Roman House & Baths. 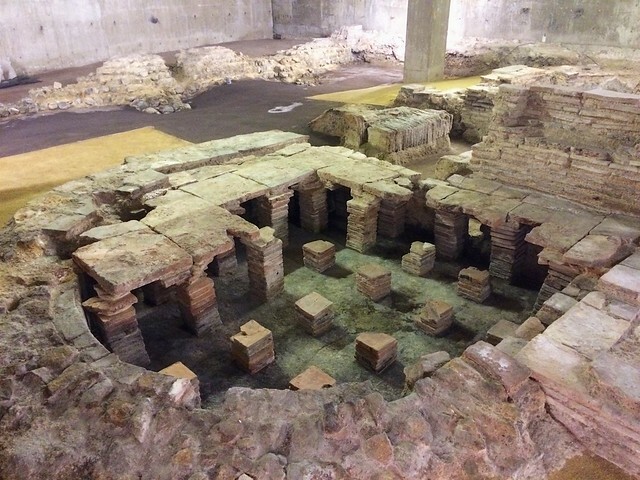 These Roman Londonium remains are located under an old 1960s office block in Lower Thames Street, just across from Customs House. The site is believed to be a private residence from about the 2nd century, with a bath house added on to it about a century later. I’ve been a couple of times before when they’ve had open days. Usually you are visiting the site along with 20+ other people, so getting a good look, and getting all the info from the guide can be patchy. Glorious walkways! Also some tiled floor. This time around, there were four of us in total on the tour which was nice. Since I was last there, they have also extended the walkways over the remains, allowing you to see oh so much more. Being able to see the entire site from the walkways really helps in being able to put it all together. The tour is great and explains all the parts of the site, and how they were connected. Underfloor heating in the tepidarium. 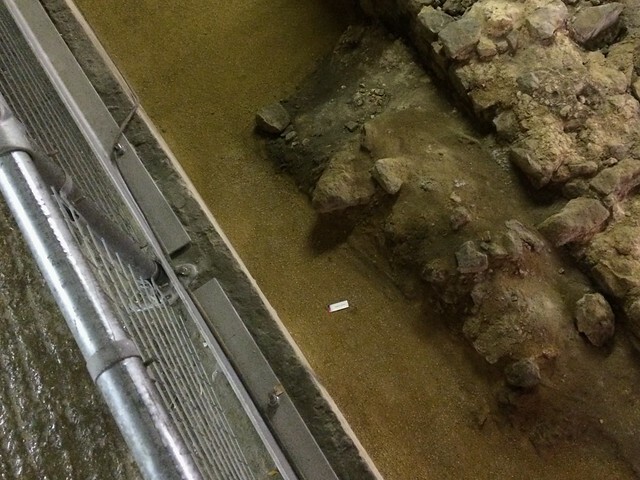 Just to the right of the badge are the remans of a Roman road, and then the edge of a Roman wall. Guessing they’ll be able to get it next time some conservation work is done? Or maybe it will be found several centuries later for archeologists to puzzle over. Much like the Saxon brooch that was found on the site, on top of a pile of collapsed roof tiles. There are loads of opportunities to see this site until August, and it’s definitely recommended. 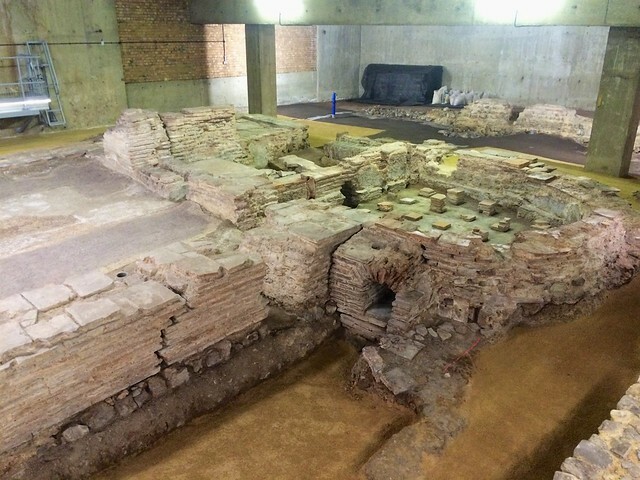 And if you want to delve into Londinium a bit more, the City of London Guides do a Roman London walk every Monday afternoon and Friday morning from the City Info Centre. Roman bath built onto a (likely) private residence. You can see the furnace for the caldarium.